Because I just can’t get enough of Cassini and these great Saturn images. 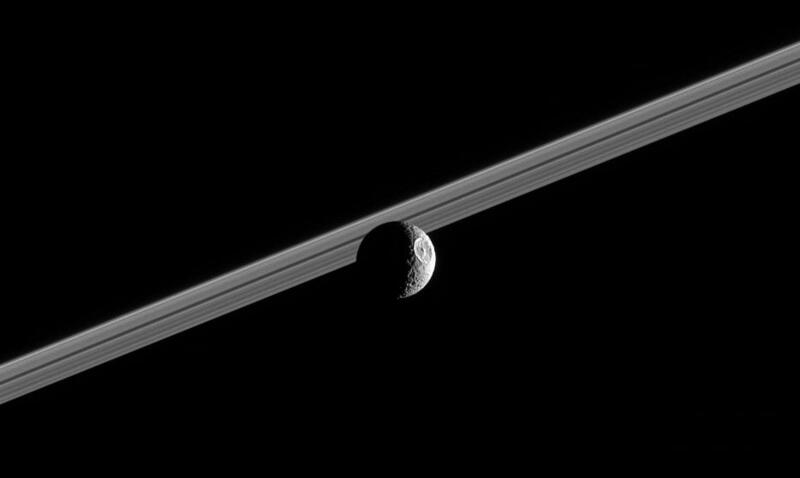 Here’s Mimas, the Death Star moon, gliding in front of Saturn’s rings. This entry was posted in General on 11/29/2005 by Thomas. Trailer for Richard Linklater’s latest rotoscoped movie, A Scanner Darkly, starring Keanu Reeves. The Rout of San Romano by Paolo Ucello.